Racing puts engine components to the ultimate test. Argentinian racer and founder of Saenz Performance, Eduardo Saenz, was always searching for a competitive edge. Like many racers, the available parts were not good enough for his racing endeavors. 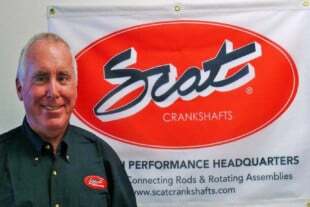 When high-quality engine connecting rods and transmission parts were not available, he made them himself at the family business. 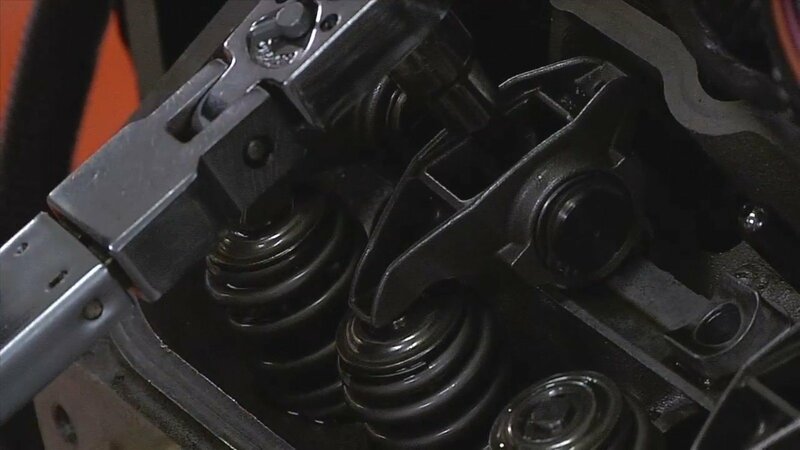 Saenz has been precision-manufacturing connecting rods as well as manual-transmission components for more than 30 years. In the sport compact market, Saenz has offered forged, custom-made connecting rods made of 4340 steel, 300M, and titanium, but the company has recently added off-the-shelf A and S-Model rods to its lineup. Connecting rods are the critical link between piston and crankshaft. No other component in your engine takes more of a pounding than the connecting rods and bolts. 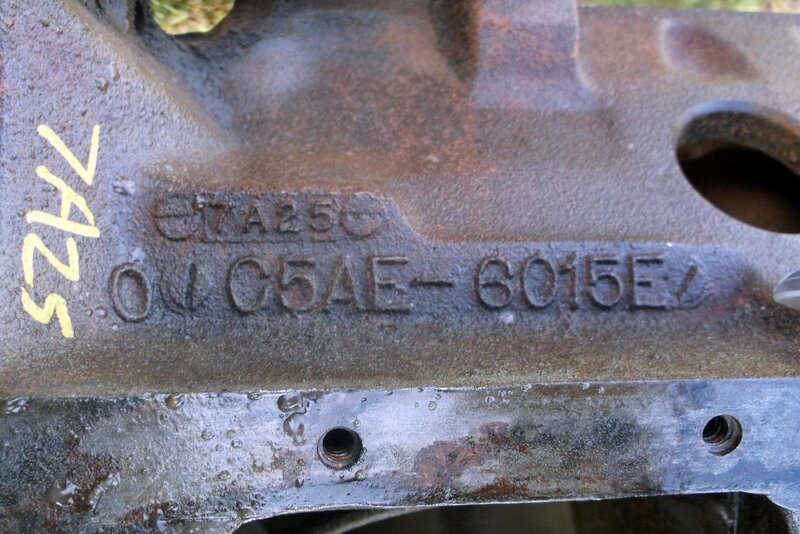 In one revolution of an engine, the connecting rod is subjected to compression and tension at thousands of pounds per square inch. As such, you need to select the right material, production method and weight of a connecting rod to complement a race or high-performance engine. Saenz exclusively produces forged rods. The forging process squeezes the metal into its final form, so the molecules of the metal are tightly packed together for superior strength compared to cast or powdered-metal rods. Rod strength and durability are critical for any engine. If the connecting-rods or connecting-rod bolts break, your engine will suffer a catastrophic failure that will damage the block, crankshaft, heads, and other parts. Recently, the company has expanded to offer rods in 4340 and 300M for popular import engines, such as Honda K20/K24, Subaru EJ2.5, and Toyota 2JZ-GT/GTE. In addition, these forged rods are offered in I- and H-beam configurations. Saenz does not offer lower-end, powdered-metal rods that are often found in stock engines. Saenz H-beam rods are up to full race specifications. The A-series is available in a number of sizes while the S-model features a standard big end for 5.575- and 6-inch lengths. These are equipped with premium quality L19 (or better) grade ARP bolts. Current Saenz Performance owner Ignacio Saenz Lancuba, explains how the company started: “He [father Eduardo] started it because he loved race cars and he used to be a professional racer in Argentina. My grandfather used to have a heat-treatment company for metals. So as a side game, there was factory space to start fixing and making stronger parts in Eduardo’s car. Then it became a business, and he also began fixing the gears of the gearboxes – he did it for friends as well. That’s how he first got into the gearbox end of the business. Then other racers and teams recognized the parts he was making and they started buying from him.” From the 1970s, Saenz established itself as a leader in connecting-rod technology. A number of race teams built engines using these rods for competition in the 24 hours of Daytona, World Rally Car, the Dakkar Rally, and other forms of racing. Now, Saenz offers a full range of connecting rods for many import engine platforms, and they can manufacture custom-made rods for nearly any engine. The custom rods are offered in 4340 steel, 300M, and titanium for the ultimate in lightness and strength. The A-series are offered in forged 4340 steel and 300M at stock and popular lengths for various import engine platforms. The S-series are made of 4340 and meets industrial specifications, but it is not built to military spec standards. Saenz stands apart from many other connecting-rod manufacturers because of its quality – other connecting rods are made at rock-bottom prices in the Far East, where premium materials, the industry-standard production processes, and quality controls are not used. With many off-brand or generic rods, the advertised material spec is different than the actual metallurgical composition of the rod. In addition, these rods are often not designed, developed, and tested for high-performance and durability. Saenz rods are designed for the best weight and strength characteristics, forged, machined, and extensively tested for durability. Saenz rods are manufactured to the highest standards and that’s why famed race-engine builder Cosworth recommends them to its customers. In addition, the company can build rods for almost any racing and high-performance engine platform. Saenz rods have proven themselves in naturally-aspirated as well as forced-induction applications. The rod designers have a difficult task and must balance between light weight and strength. Engine builders want lighter weight rods for faster acceleration, but after a certain point, you cannot go any lighter without sacrificing durability. All the rods are meticulously engineered and exhaustively evaluated and tested for performance and reliability. Engineers use finite-element-analysis software, so the rods can maintain strength in critical areas, and material can be removed for lighter weight in non-critical areas. The beam must not stretch or deflect under enormous loads. In addition, the small and the big end sections of the rods must not come out of round. In most cases, rods do not fail under the enormous load of compression, but rather, they tend to fail under tension when an engine is over-revved. Of course, specialized premium connecting rods do have a service life. After so many miles of extreme use in racing situations, the rods become fatigued, cracked, and a failure is impending. As a result, the service life must not be exceeded. The company uses a selection of dies for forging most of the racing-engine rods to particular dimensions. During the process, Saenz seeks to obtain the best fiber orientation for the metal, but also to leave enough material for later in the machining process. Once the rods have been initially forged, they are heat treated to strengthen the molecular structure. Then the rods are placed into a CNC mill for machining. A consistent program delivers a finely machined rod, then the big and small ends are machined out. The rods are polished in a deburring machine to remove any sharp edges and stress risers. During the shot peening process, metal shot is fired at high-velocity to create overlapping dimples providing some compression on the surface and therefore adding strength. After shot peening has been completed, roto-finishing removes any irregularities and marks. Next, the rods are heat treated to achieve a final hardness. After completion of this step, a test (or sacrificial) rod is put through a battery of tests to ensure quality. It is inspected for core heat-treatment standards. Then the molecular structure is verified under a microscope. If the rod meets standards, it’s tagged and filed for future reference. The guide locations are established, and the cutting zone for slicing the rod down to size is determined. Parts are fitted to the rod and then the mill grinds the rod to within .08-inch of final thickness. Next, the big end bore is machined to within .04-inch of final size and the bushings are installed. The precision CNC machining delivers the consistency, so the weight of each rod is within one gram of each other. Rods must be balanced for race or ultra-high-performance engines because the slightest imbalance impedes power production, which could lead to a complete failure. As part of Saenz process, 80-piece rod batches are balanced to within +/- 1gram. If it’s a large order, rods must be +/- 1 percent. The big end bolt holes are resized and inspected for trueness, and then bolt stretch is measured. As Saenz nears the end of the production process, the big and small ends are machined to final specification. The standard tolerances are very stringent at +/- 0.0008-inch, but can be as low as +/- 0.0004-inch. Next, a two-step process hones the big end bore to its ﬁnal size, so heat build-up is avoided. The standard tolerance of the big end is +/- 0.00025-inch. The boring machine bores the small end to 0.0004-inch smaller than the ﬁnal size. A center-to-center distance of 0.001-inch must be achieved. In addition, rods must be parallel and perpendicular within 0.001-inch in 4 inches of length. The final size of the pin end bore is then honed to a standard tolerance of +/- 0.00025-inch. After visual inspection, Saenz uses a Brown & Sharp coordinate-measuring machine to verify that all dimensions are correct and within specifications. Next, the protective oil is applied to the rods and they are packed with a card that has dimensional and weight information. When a customer receives the rods, they are ready for prep and installation. When building a high-performance or race engine, the connecting rods must be a strong and resilient link in the rotating assembly. As a result, you need premium quality that will consistently perform under extreme use. Saenz Performance sources the finest materials, industry-leading engineering methods, finest machining equipment and an uncompromising validation and verification process. The result is exceptional rods for popular European and Japanese import engines. The A- and S-Series rods in H- and I-beam configurations are readily available for the Honda K20/K24, Subaru EJ2.5, and Toyota 2JZ-GT/GTE . If you have a special application engine and are pushing the performance envelope, Saenz will build custom connecting rods for nearly any application (race or street) and output level. 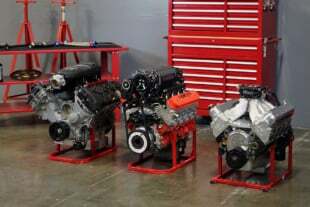 You can find out more and source some parts for your build at saenzperformance.com.